ANYONE from the Granite Belt will tell you we have some of the best wineries in the world. Now Ballandean Estate, Ridgemill Estate and Symphony Hill all have the medals to prove it. Each winery has taken home a gold medal for the Saperavi World Prize, or SapPrize, in Tbilisi, Georgia. 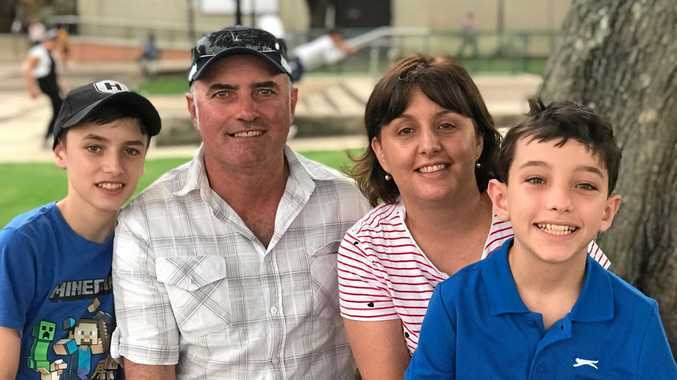 "One of the things we were hoping to achieve was if we did win something with our Saperavi , that we could say the Granite Belt was one of the best places in the world, outside of its traditional home of Georgia, to grow this grape,” said Leeanne Puglisi-Gangemi from Ballandean Estate. "I think with the results last week, between us and the other wineries, especially the two that grow the grapes here in the Granite Belt. Ridgemill Estate was lucky enough to not only receive a gold medal for its 2015 saperavi, but also a bronze for its 2014 brew. Owner Martin Cooper said he was stoked when he heard the news. "We had to pinch ourselves,” he said. to get a gold medal on a world platform,” Mr Cooper said. "We've been growing Saperavi here for six or seven years and it's been doing well in shows but to win on an international stage in the home of Saperavi is pretty special. Symphony Hill has also taken the gold for the third consecutive year. Winemaker Mike Hayes said he was proud of all three wineries' achievements. "I think the most important thing about it is that the three wineries on the Granite Belt that entered all got gold medals. "It just goes to express the professionalism that's happening on the Granite Belt wine making across the board. The Saperavi grape can be traced back about 6000 years, with some believing it was the first wine variety. Mr Hayes said it had become famous among alternative wines. 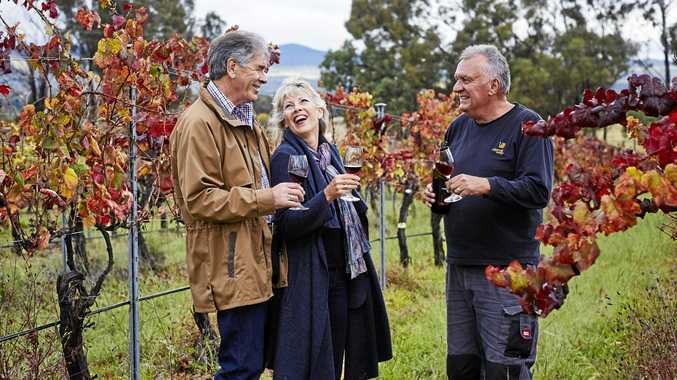 "It's just highlighting the emerging grape varieties that the Granite Belt is becoming famous for being made up here and being produced up here. Mr Cooper said Ridgemill Estate had a lot of faith in the grape as well. "We've grafted over some more vines to Saperavi, so we want to up our yield a bit,” he said.